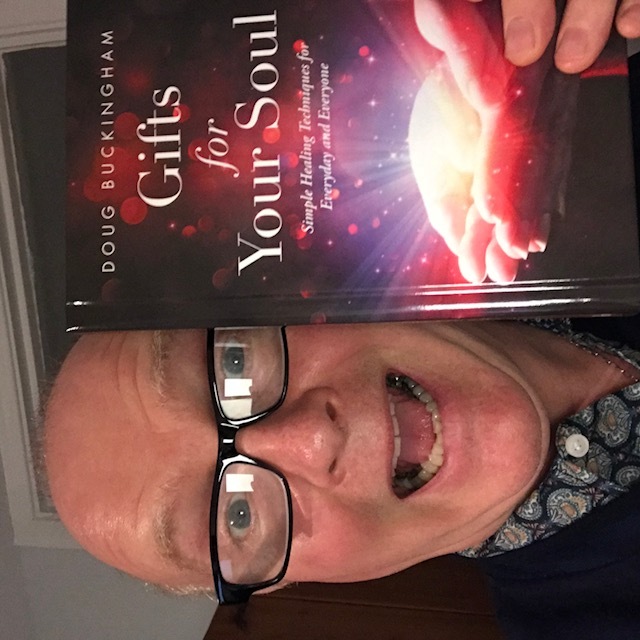 Doug Buckingham’s new book “Gifts For Your Soul” is out now, and available with online book-sellers around the world as a paperback, hardback and also as a downloadable e-book. Doug Buckingham’s new book “Gifts For Your Soul” is out now, and available with online book-sellers around the world as a paperback, hardback and also as a downloadable e-book. Already the book has been selling in countries as diverse as the United States, Mexico, South Africa, Japan, Thailand and several European countries and his native UK. Buckingham has been a teacher of hypnosis and regression training for almost a decade and has run training courses in a number of countries overseas as well as the UK, and has trained hundreds of therapists in the process. He has also worked with over 3,000 clients for hypnosis and regression therapy in the past 11 years since qualifying as a hypnotherapist. This is one of the principles on which he has based his new book which is a collection of simple healing techniques. Another of his premises is that everything is energy and when you take responsibility for managing your own energy, then it helps you to manage your emotions, thoughts and many everyday life issues. The author says that one his motivations behind writing this book is that healing and therapy can be a costly thing for some people, and so he has written this book so people with limited finances can have access to the simple yet effective healing modalities that he has written about within the book. Doug Buckingham’s services also include hypnosis and regression therapy sessions, fully accredited training and an App that offers Life Enhancing hypnosis audios for people to access through their phones. He also runs various workshops for increasing money and abundance in your life, has worked in several overseas countries and slightly ironically, now works out of Buckinghamshire. “Gift for Your Soul” is now available on Amazon, the Book Depository and other online retailers, and will shortly be available as an e-book. Media Contact: Please feel free to contact Doug Buckingham on 07979 750291 or by email doug@dougbuckingham.com for further information.